Doug Vancil takes the win and repeats as your NHRA Winternationals Mickey Thompson Performance Tires & Wheels Top Fuel Harley Champion! 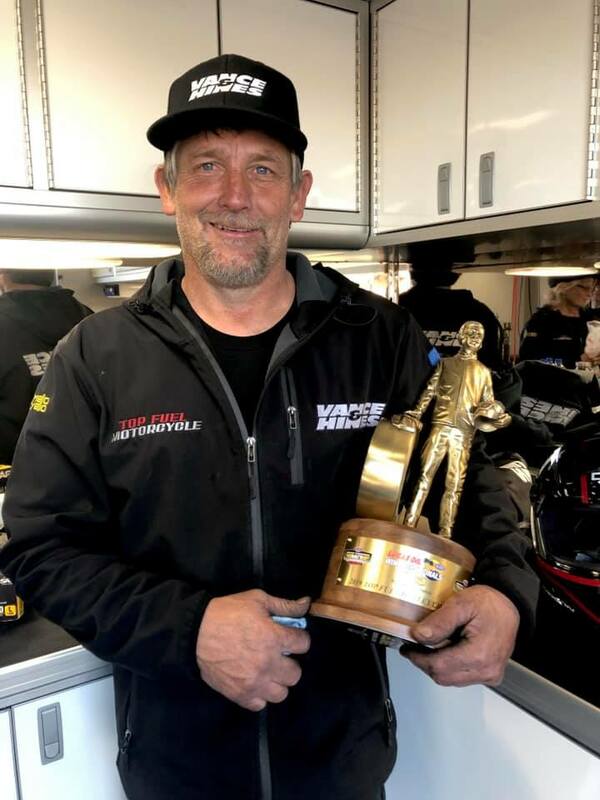 Congratulations, Vance & Hines and Romine Racing! 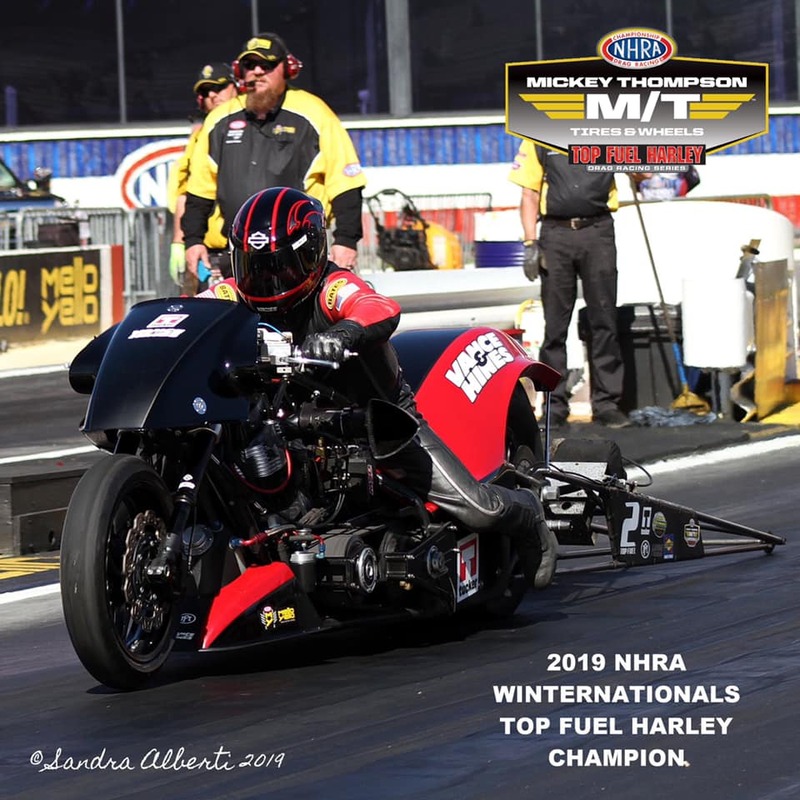 Mickey Thompson Top Fuel Harley Series Championship Points following the season opener.